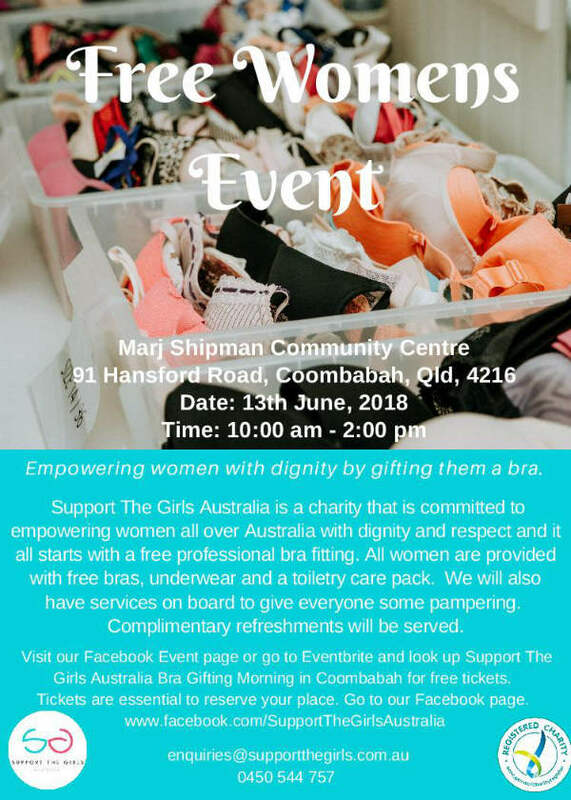 Support The Girls Australia is a charity that is focused on empowering women with dignity and respect and it starts by providing them with a professionally fitted bras, underwear, sanitary products and toiletries and a day of pampering. This event if free for anyone women that is homeless, disenfranchised, or a victim of domestic violence. This is a day that is about pampering and connecting. They will receive free haircuts, remedial massage, and other pampering services. Women can come and be surrounded by unconditional compassion and care. Our soul focus is to give them one on one support. This event is open to any person in the community that needs help. To book your professional fitting register on the link below. If you need assistance with transport please do not hesitate to contact us.